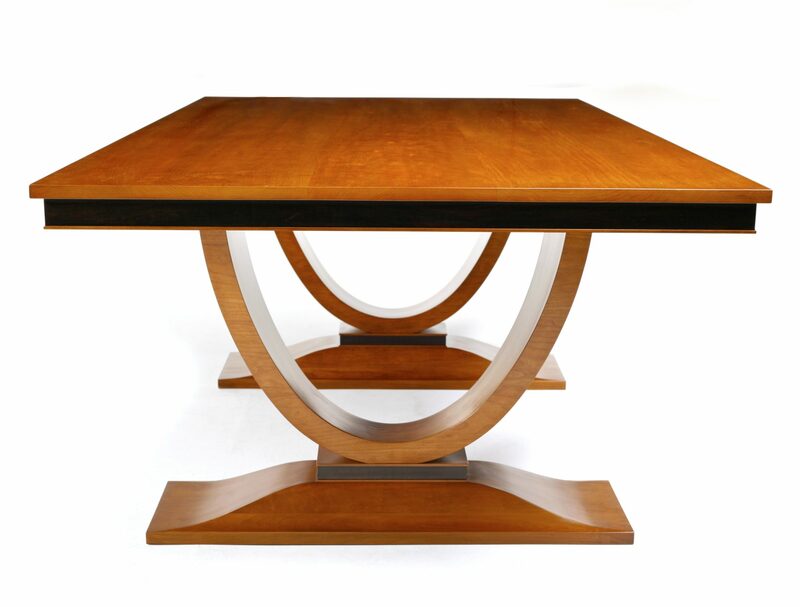 Inspired by French Art Deco designer Jacques-Emile Ruhlmann. 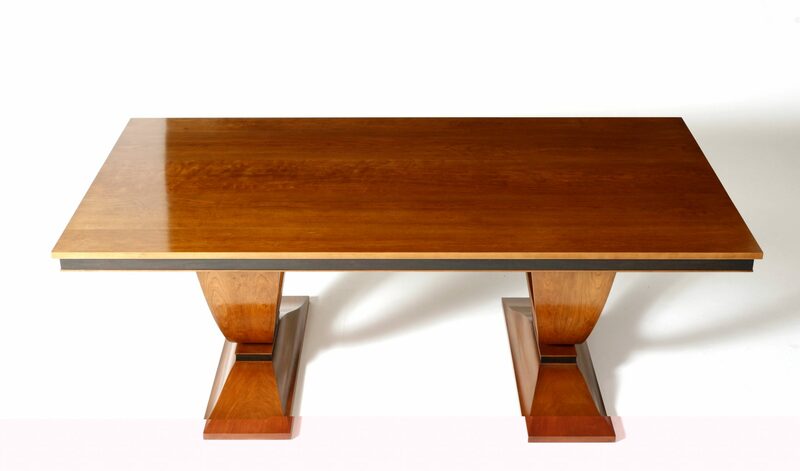 A rectangular Cherry wood table top sits over a structural band of black ancient Murray River Redgum timber. 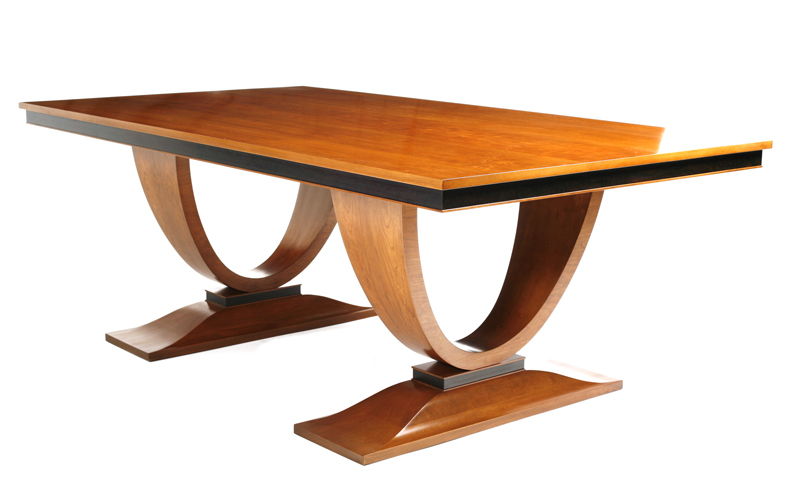 The curved bases are perfectly proportioned to complete a classic and elegant Art Deco design.